Sell computer parts, accessories, software, or games? Integrate with one of the world’s largest electronic marketplaces. 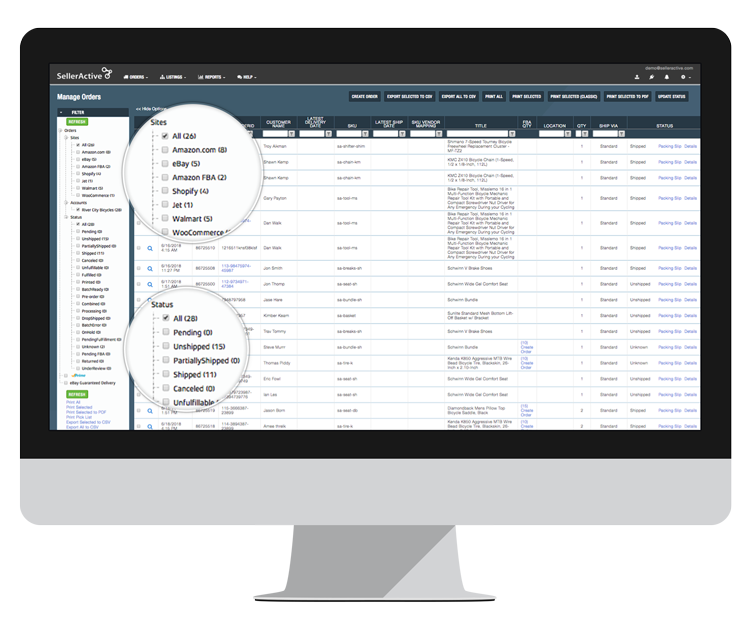 Save time and reduce human error in your workflows by managing your listings from one centralized platform. 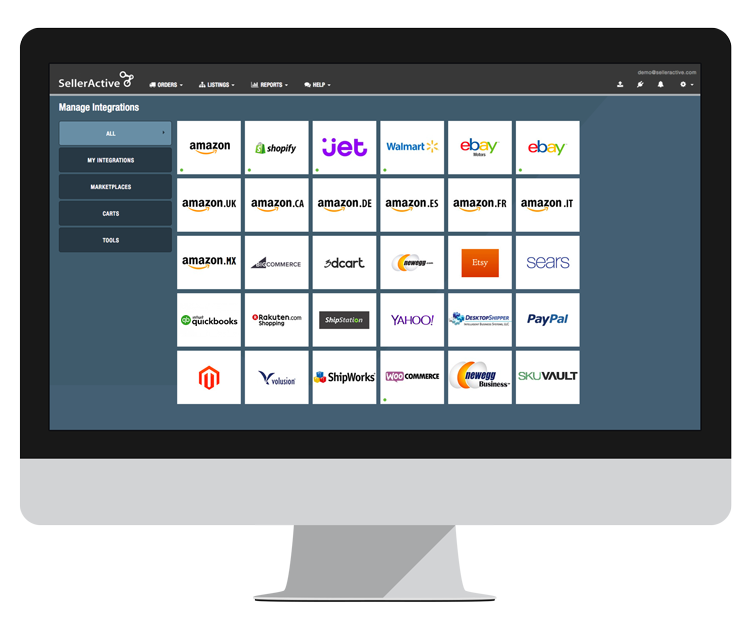 When you make a sale, SellerActive automatically updates your inventory counts across all sales channels, protecting you from overselling. 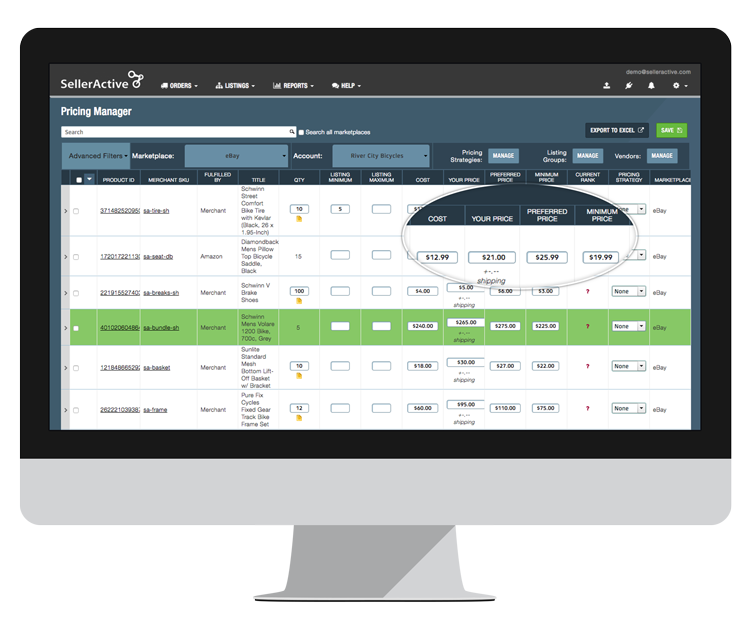 With SellerActive’s order management tool, all sales are consolidated in one central platform regardless of where orders were placed. Through your SellerActive dashboard, you can also fulfill, pack and ship orders. Leverage SellerActive’s powerful repricing technology to set a mirror or velocity repricing strategy that can help you price more efficiently and effictively and beat the competition.